John is a dear friend who has a passion for cooking as I do. He prepared the following risotto for our Foodie Films Italian luncheon. The recipe comes from Cook's Illustrated and it came out perfectly! You can adapt this recipe by adding your choice of vegetables and other add ins. Risotto is one of my favorite things to cook - made it twice this week! I love how versatile it is. 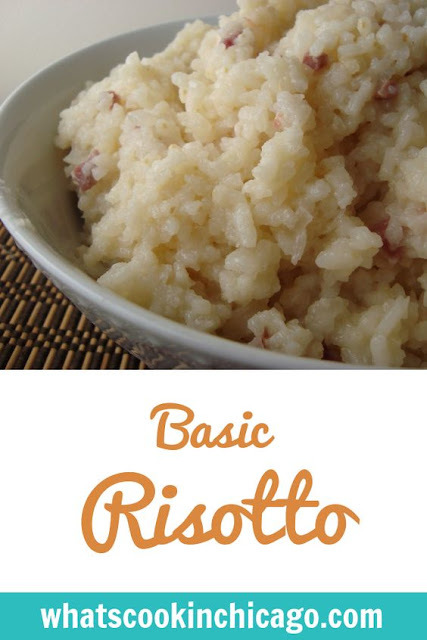 I think I may have to break my risotto "cherry" and try this recipe.